Gotentag, my German friend. My name is Lucas Ammons AKA: Taav Sharroock . I'm from Kansas. I'am a aspiring writer. I have posted a story on the showcase forum. A word of advice while your at the JA website: KICK BACK, RELAX, AND HAVE FUN TIME, your among friends. feel free to talk to me on my profile. Hey Hev, haven't seen you on Antei in a while....I figure either you're dead, sleeping, or you finally severed ties with the DB. Actually, that story doesn't end well. WHere have you been lately, I havent seen you on any server for awhile? Hope to see you on the servers sometime! Clan Arcona, House Oriens Obscurum. Warrior of the Dark Jedi Brotherhood. the price of death is dying. Jingle bells jingle, ok I can�t sing. I wanna runnaway annever say goodbye I wanna knowthe answers nomore lies! *Takes a picture* Muuuuuch better. Yay Piccolo�s 777th post, [Yay Damien�s 250th post, [OMG LADY�s 800 POSTAH!!! [Lady�s 888 post... YAY!!! 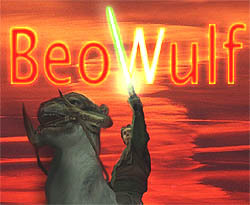 Merry Christmas Beowulf and a Happy New Year. This comment was edited by DaMi3N on Dec 22 2005 04:54pm. Havent seen you in a while. This comment was edited by Majno on Aug 25 2005 11:32pm. Nice to meet you on serv good duels too. See you around, take care. This comment was edited by Majno on Jun 18 2005 10:24am.